India’s economy is presently sixth largest in the world in terms of GDP (Gross Domestic Product) and the country is aiming to double its economy from $2.5 trillion to $5 trillion by 2025. Timely deployment of 5G will help the country in achieving $5 trillion before 2025. India has to take lead in 5G and all stakeholders be it government, educational institutions, service providers, vendors, application providers, startups and system integrators have to work together. 5G ecosystem needs to focused on three pillars – Rolling out 5G technology early, Building industrial and R&D capacity both in design and IP (Intellectual Property) for 5G and Expanding 5G manufacturing base for semiconductor fabrication as well as assembly and test plants. On the spectrum front, the Indian government should focus on providing spectrum for all be it wireless access, backhaul and WiFi. For wireless access an aggregate of 405 MHz + 137 MHz below 4 GHz and 5.25 GHz and 8.3 GHz below 45 GHz, backhaul requires 14 GHz of unlicensed and 10 GHz lightly licensed in 57-86 GHz band and WiFi will require an additional bands of unlicensed spectrum in the 5 GHz band for outdoor use. Phase 1 – Fixed Wireless Access services in the millimetre-band with 0.5 to 1 Gbps links by 2019. And mobile services in the < 3 GHz band by 2020. By 2021, many countries across the world will have deployed 5G broadband services. Phase 2 – 5G based IoT technology is expected to begin around 2021. 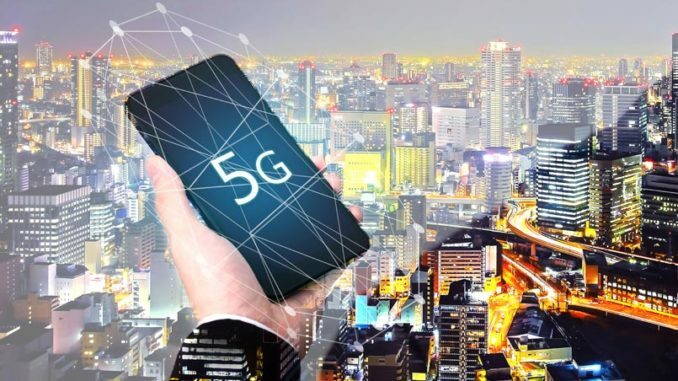 While small IoT networks built around earlier technologies like NB-IoT, LoRA and Cat M have been deployed, the entry of 5G IoT will accelerate these trends. Phase 3 – Low latency and highly reliable wireless services will debut in 2022 and offer new applications like car platooning, remote machinery control, drone navigation, and tele-surgery. 5G will cut across different industry verticals so it is very important to promote awareness of 5G and advance the related skill development within the country by creating a comprehensive skill development program. Not only this, the focus is also on deploying use case labs for different industry verticals in a phased manner which will provide interoperability testing for new applications, fostering innovation in 5G use cases and promote entrepreneurship to develop locally tailored solutions. Focus is also on constituting a committee to recommend a ten year strategy for IT standards in India. To kickstart 5G, India has to build capability in core technology, development (design and IP) and manufacturing for 5G and more broadly for all IT needs a deep and long term effort. It is expected that 5G technologies will enter services gradually beginning in 2019 and advance to full range of services by 2024 and Indian 5G ecosystem should play an active role on the global stage in standards development, equipment design and IP development, manufacturing, assembly, testing and service provision.